Baby Moon Cross Stitch kit - part of the DMC Extra Value range. Easy design ideal for beginners. 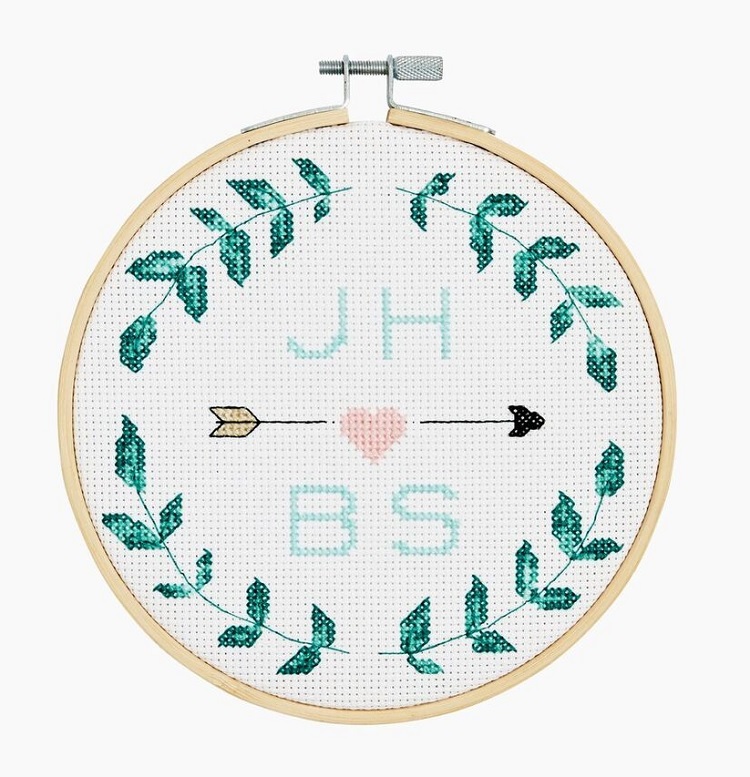 Kit includes 6 stranded cotton, chart and instructions, 14ct aida , needle and ready to hang 15cm (6") wooden embroidery hoop. Also includes Make it personal alphabet chart. Wreath Cross Stitch kit - part of the DMC Extra Value range. Easy design ideal for beginners. Kit includes 6 stranded cotton, chart and instructions, 14ct aida , needle and ready to hang 15cm (6") wooden embroidery hoop. Also includes Make it personal alphabet chart. 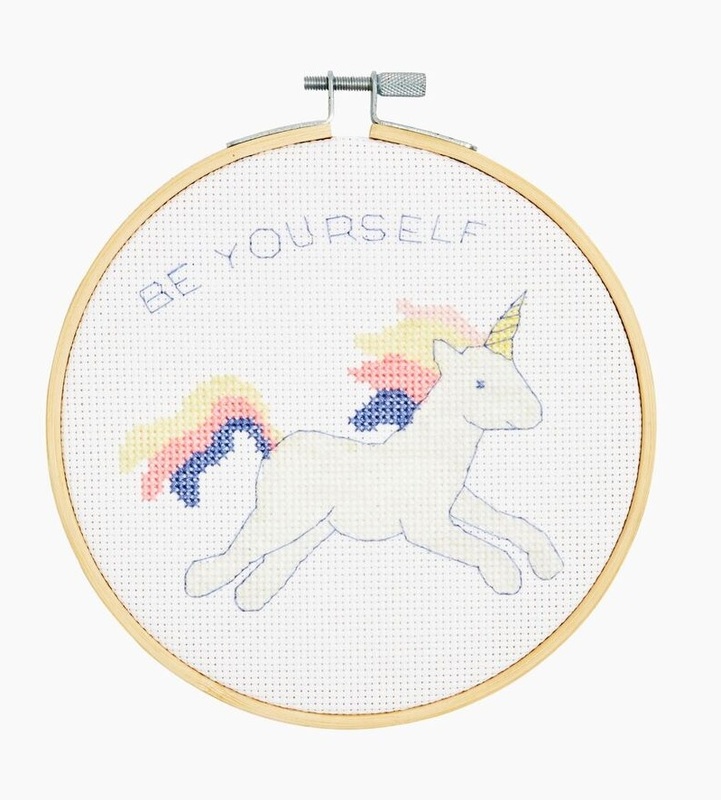 Unicorn Cross Stitch kit - part of the DMC Extra Value range. Easy design ideal for beginners. Kit includes 6 stranded cotton, chart and instructions, 14ct aida , needle and ready to hang 15cm (6") wooden embroidery hoop. 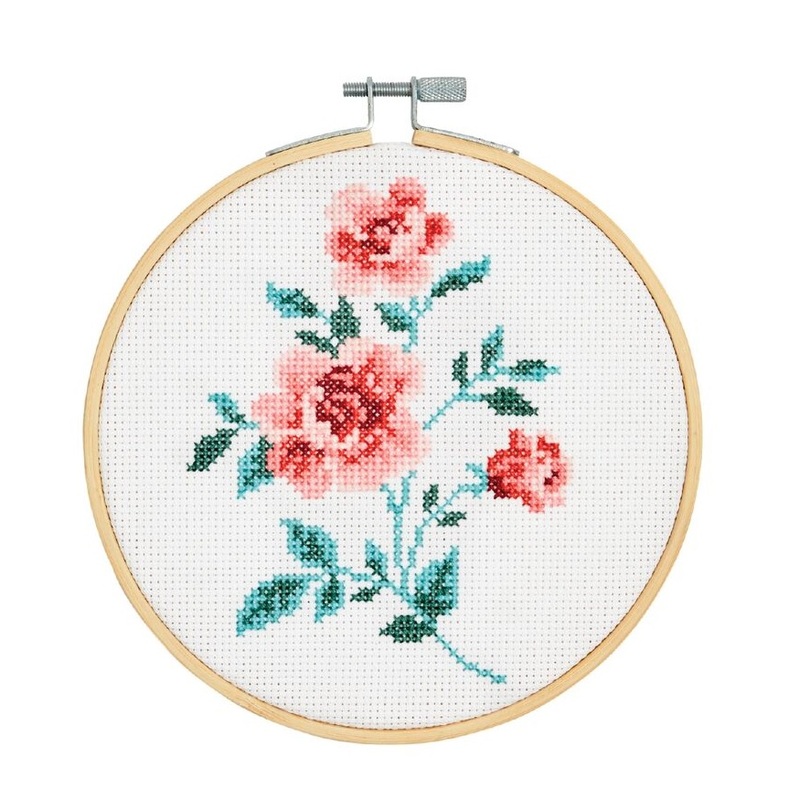 Rose Cross Stitch kit - part of the DMC Extra Value range. Easy design ideal for beginners. Kit includes 6 stranded cotton, chart and instructions, 14ct aida , needle and ready to hang 15cm (6") wooden embroidery hoop. 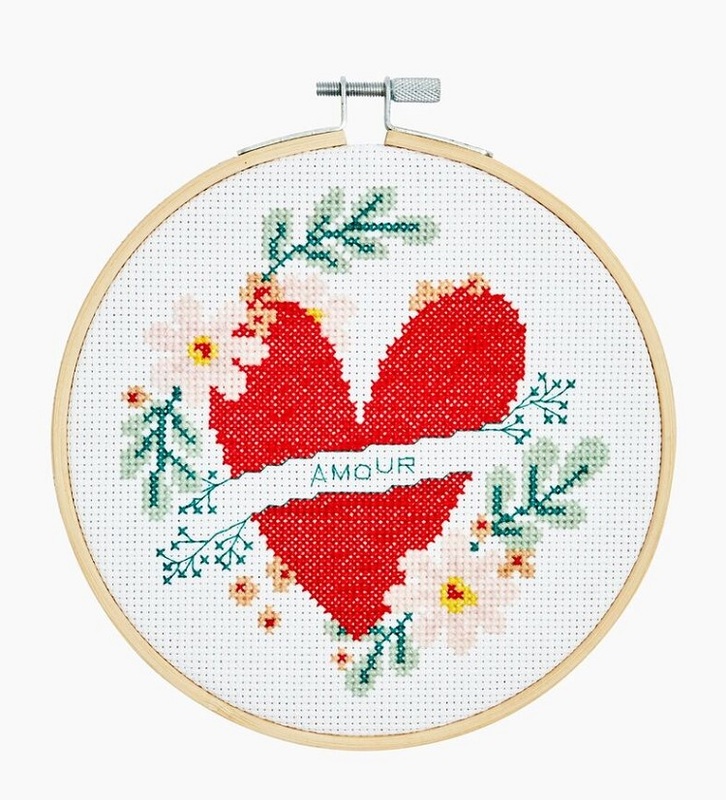 Heart Cross Stitch kit - part of the DMC Extra Value range. Easy design ideal for beginners. Kit includes 6 stranded cotton, chart and instructions, 14ct aida , needle and ready to hang 15cm (6") wooden embroidery hoop. Love Laurel Cross Stitch kit - part of the DMC Extra Value range. Easy design ideal for beginners. Kit includes 6 stranded cotton, chart and instructions, 14ct aida , needle and ready to hang 15cm (6") wooden embroidery hoop. Also includes Make it personal alphabet chart. 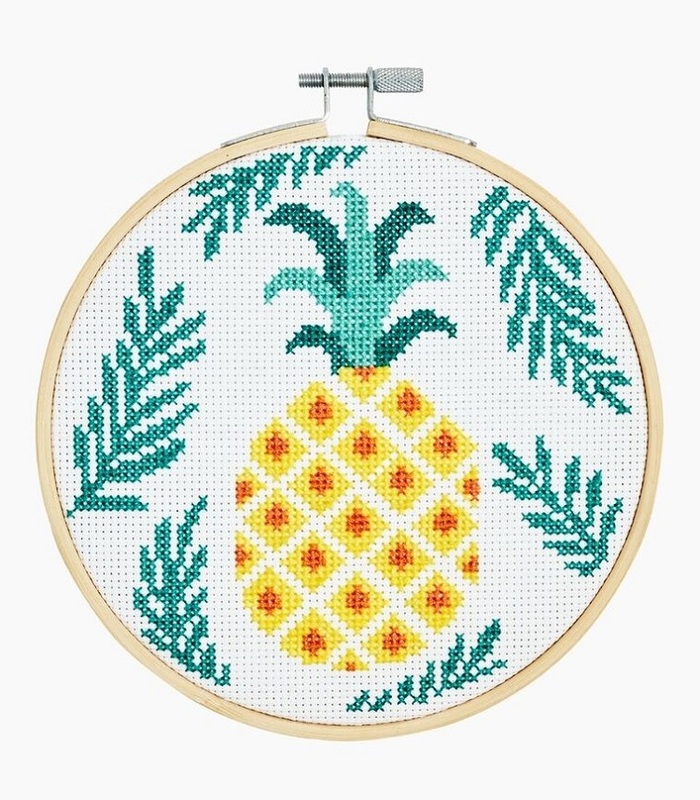 Pineapple Cross Stitch kit - part of the DMC Extra Value range. Easy design ideal for beginners. Kit includes 6 stranded cotton, chart and instructions, 14ct aida , needle and ready to hang 15cm (6") wooden embroidery hoop. 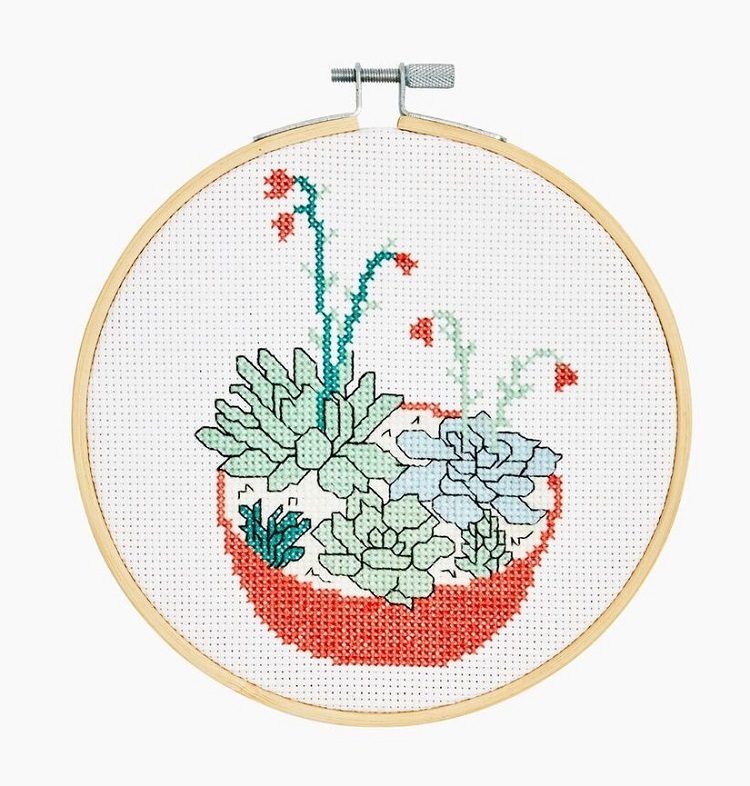 Succulents Cross Stitch kit - part of the DMC Extra Value range. Easy design ideal for beginners. 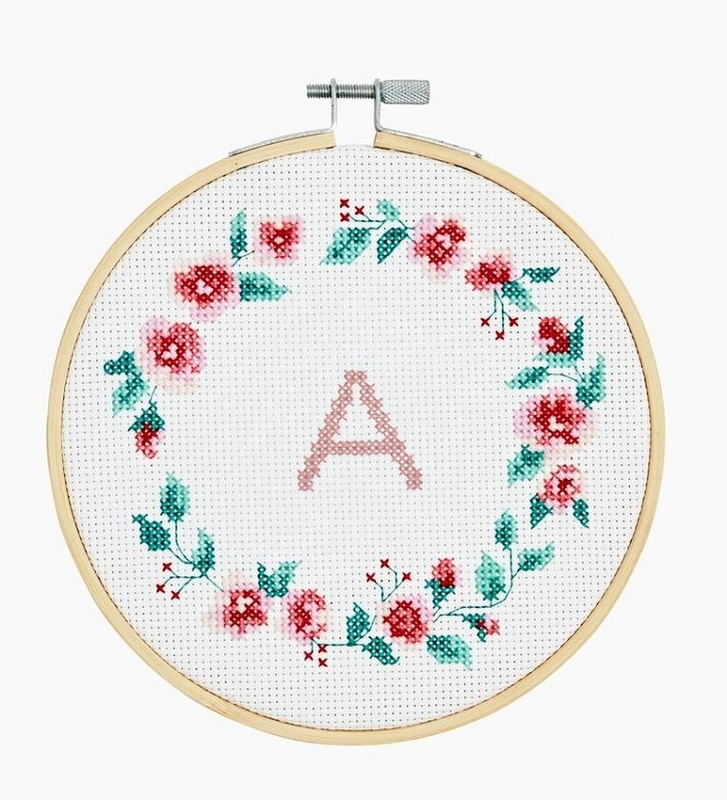 Kit includes 6 stranded cotton, chart and instructions, 14ct aida , needle and ready to hang 15cm (6") wooden embroidery hoop.